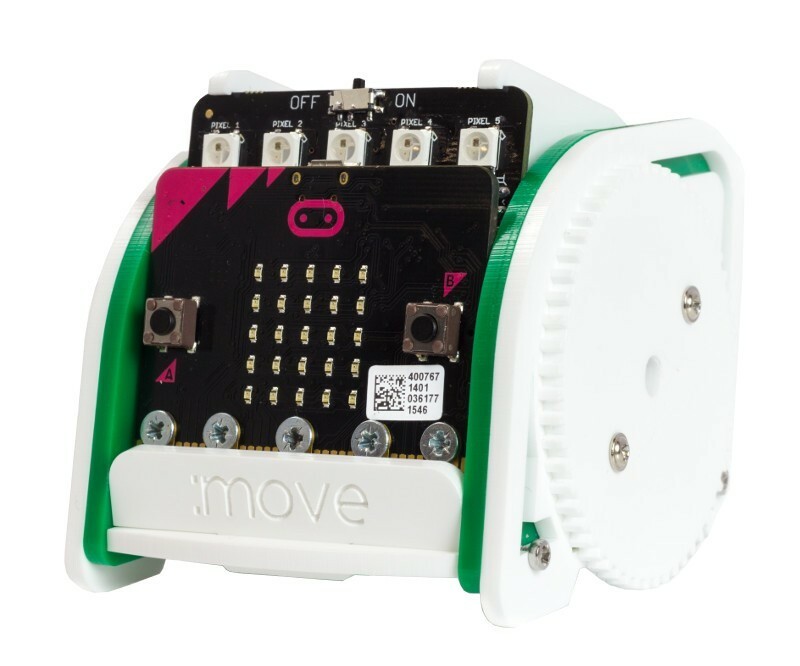 At last month's local CoderDojo I noticed a couple of MOVE mini buggy kits for the micro:bit, a low-cost introduction to robotics from Kitronik. The basic MOVE mini kit requires mechanical assembly only, no soldering required. While add-on kits - such as Bulldozer, Tipper Truck and Bumper - enhance the robotic building possibilities. This two-wheeled robot is powered by two servo motors. In addition there are five individually addressable coloured LEDs (NeoPixel compatible), which can be used as indicators, reversing lights and so on. You can also add a pen for LOGO-style graphical shape and plot drawing. It can be controlled in a number of ways: via the micro:bit board; or remotely via a free Android app; or using a second micro:bit and its radio communication functionality. Write your code using the Servo blocks in the Microsoft MakeCode Block editor. Alternatively, try the Kitronik-created Servo:Lite custom blocks, which simplify the coding process even further. To get started read the guides and tutorials on the associated Kitronic website.